A pack of 4 coasters, size 10.5cm x 10.5cm in Foraging Fox design. Protects your table from heat or food spills. 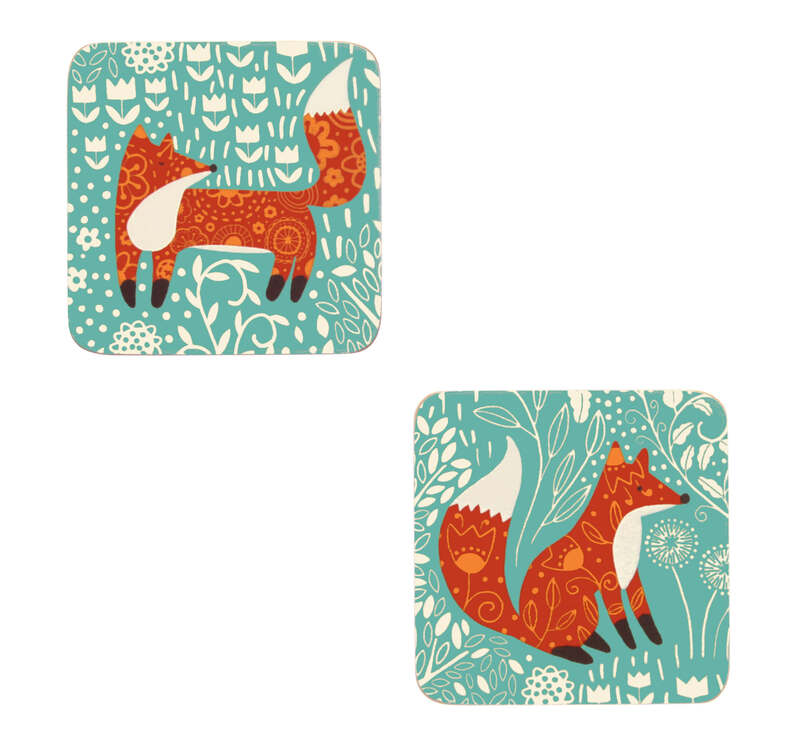 Co-ordinates with the Foraging Fox placemats. Material: Corkbacked with a matt lacquer finish. Care: Simply wipe with a damp cloth to keep clean.